School is out and summer is here - hopefully that means fun family outings. The cost of fun day trips can add up but quality-time doesn't have to be costly. SAN DIEGO (NEWS 8) — School is out and summer is here - hopefully that means fun family outings. The cost of fun day trips can add up but quality-time doesn't have to be costly. Your North County's Sugar Jones visited News 8's Morning Extra to share her favorite fun and free places to visit. Jones has been blogging since 2008 and enjoys sharing her favorite places and things to do around her adopted home of North County. Hike Annie's Canyon: This slot canyon just got cleaned up a couple of years ago. Feels like you're in Rainbow Canyon in Utah, but you're next to a neighborhood and lagoon in Solana Beach. Meditation Gardens at Swami's: Entrance is free and it's a beautiful spot. Kids are welcome. There are koi ponds and quiet areas to sit overlooking the ocean. Jazz in the Park: Friday summer concert series throughout Carlsbad at various parks. They always have a great lineup. Love Locks in Vista: You know the Love Lock Bridge in Paris? This is a sculpture of two hearts in downtown Vista where people have been locking it in with their significant other. There are also lots of locks of best friends and families. Tide Pools - Carlsbad and Cardiff: These tide pools are really beautiful at low tide. And they're great spots for family photos. Hike a Volcano: There really is a volcano in North County. It's on the eastern border of Carlsbad. It's dormant, but it still makes for a great story. Plus the trails have been upgraded in the last couple of years. Very popular with mountain bikers, too. Key's Creek Lavender Farm in Escondido: They have several upcoming tours for $15 per person. It's a great place to take some unique pics. 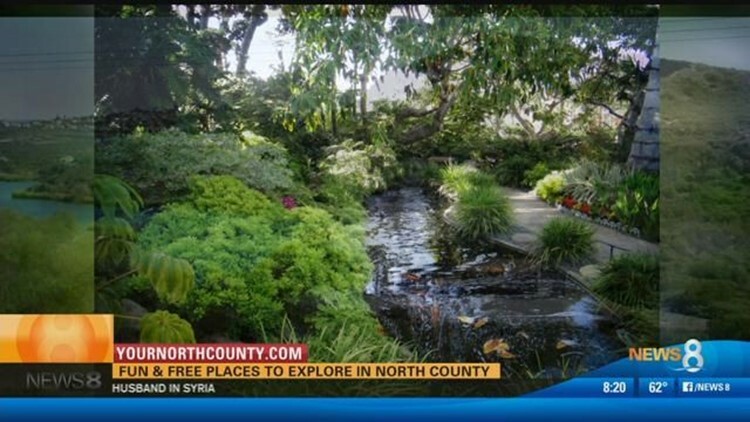 For more great places to explore in North County check out YourNorthCounty.com.